Commusoft offer 7 different integrations to popular accounting packages, allowing your job management system and your accounts to work in unison. To make managing your accounts easier, we are adding a viewable history for all Commusoft records that relate to your accounting integration. This puts the power into your hands to audit your data, query records, and diagnose any records that may have failed to send. By providing you access to a detailed history of edits to accounting data within Commusoft, you can more easily fix discrepancies and quickly get back to work with your other tasks. This update is available today for all of our users! Please be aware that record history is only available from January 29th onwards. Record history before that date does not exist. 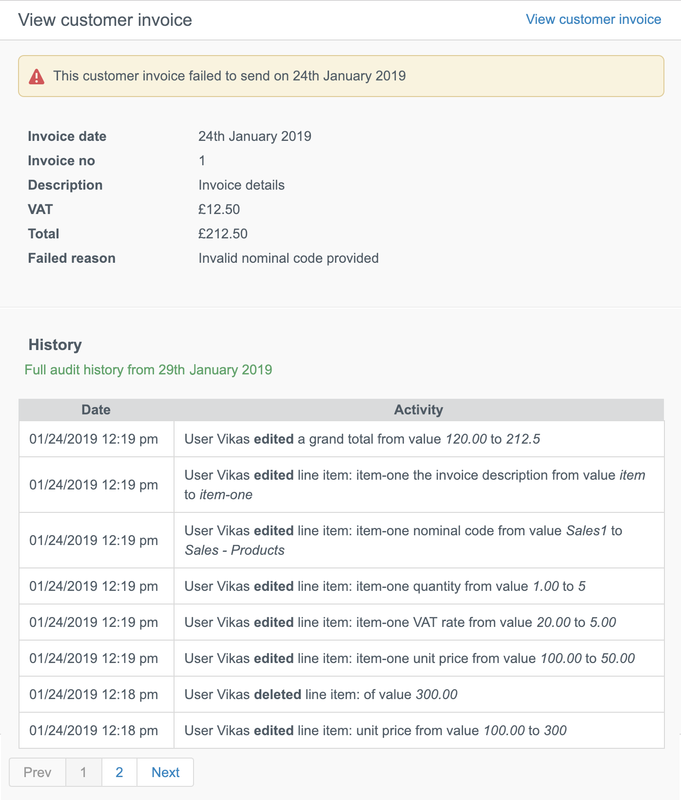 You are able to view the history for any of the records in your accounting integrations dashboard within Commusoft, whether they are waiting to be sent, processing, failed, or successfully sent. To do this, simply click 'View' on the corresponding section to display the records. You'll see the list of records as usual and can click on the + icon on the right side of each record for more options. Select 'View' to access that record's history. You'll now be able to see the full history, including exact changes made to the record within Commusoft, as well as by which user. As you can see, the record history shows that the user Vikas has made multiple edits to this record. You are able to see the date and exact time the edit was made, which part of the record they modified, and the value before and after the change. Remember, you won't be able to see any changes made outside of Commusoft. If you edit a record directly within your accounting package, the history of those edits won't display here. Taking the example screenshot above, we know that Vikas edited the grand total from 120.00 to 212.5 - and made many other edits . as well. Having insight into this level of detail for accounting records, means that you can always find out what has happened to your data. This is especially useful, if you have any records that are failing to send over to your accounting integration. Here is a summary of the edits that can be displayed in the record history. For the full list (there's 73 in total! ), please see the knowledge base. When do these records start from? 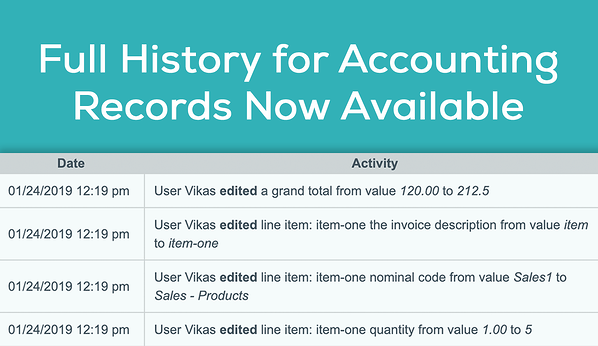 Starting from, January 29th 2019, we are recording the history of each accounting record. For records before January 29th 2019, there is no history - it simply doesn't exist within Commusoft. Going forward all future record history will be recorded. How long is history data kept? The history of your accounting records is kept indefinitely, so you don't have to worry about record history expiring or being deleted. That covers how to access and use the new accounting record history in Commusoft. Going forward, you can now audit and query your records to improve finance management in your business. Looking for more ways to improve your finances and cash flow? We offer an integration to SumUp, plus other payment gateways. Looking for industry tips and advice? See our Business blog.